Site Help - How do I buy?  It is easy to buy online from Altus Wines. Just follow the simple steps below to complete your order. 1. Browse our online shop or special offers section. 2. Select the quantity you want to buy. They will be added to your basket. 3. When you have at least 6 bottles, proceed to the checkout. 4. You will be asked for your name, delivery address, contact phone number, payment details and where we can leave your wine should you be out. 5. That's it! You will receive an email confirming your order and your case(s) will normally arrive within 3-5 working days. Buy with confidence using our safe, secure online payment system. Delivery within UK mainland only £5.99 for up to 12 bottles! See our Delivery Terms for more details. We will require your credit/debit card details to complete the order & delivery information. © Copyright Altus Wine. All Rights Reserved.